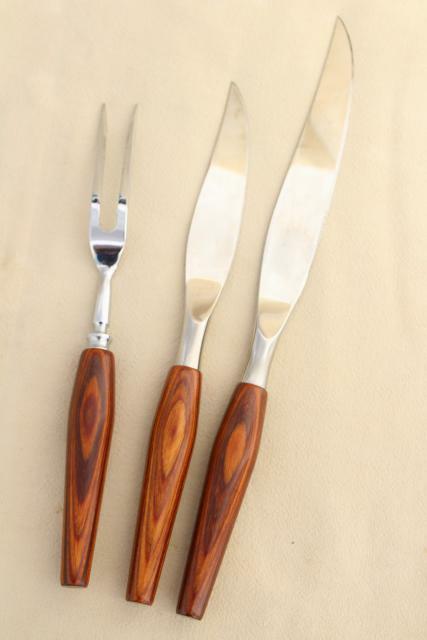 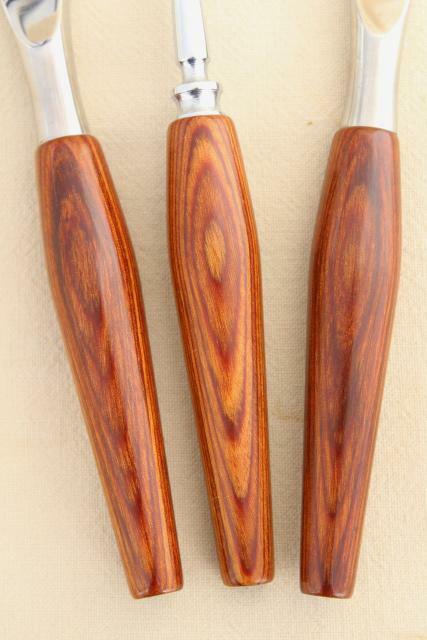 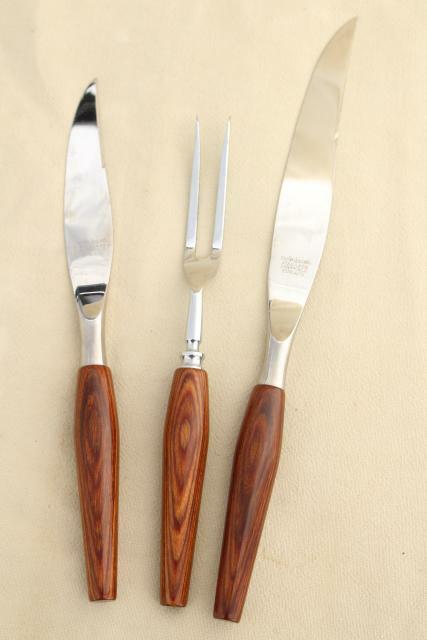 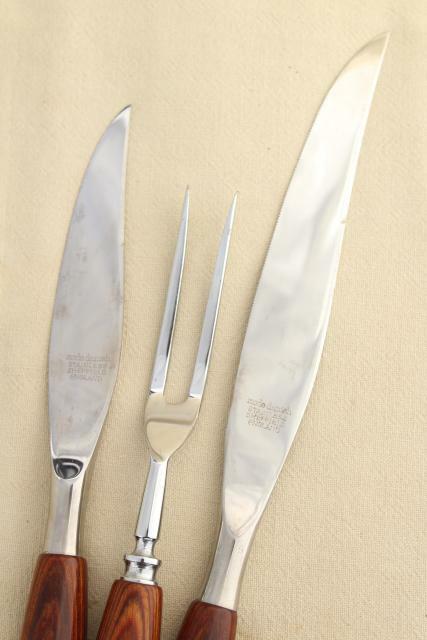 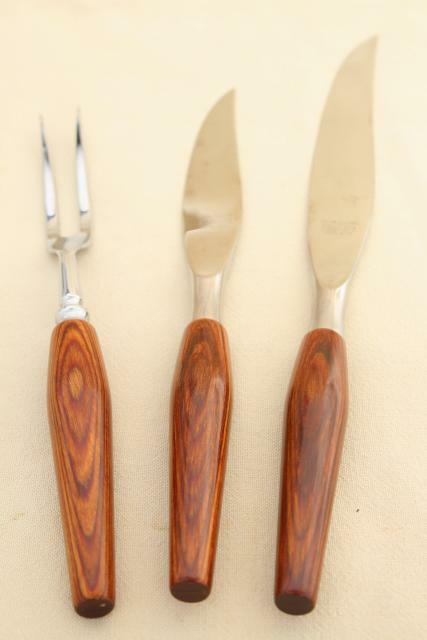 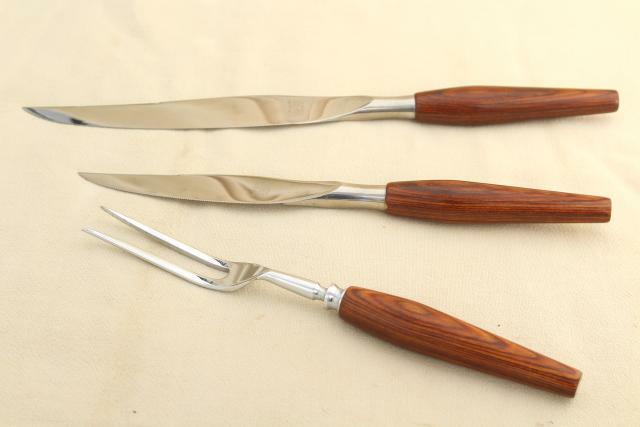 60s or 70s vintage Mode Danish carving set with gorgeous curvy handles, stainless steel blades. 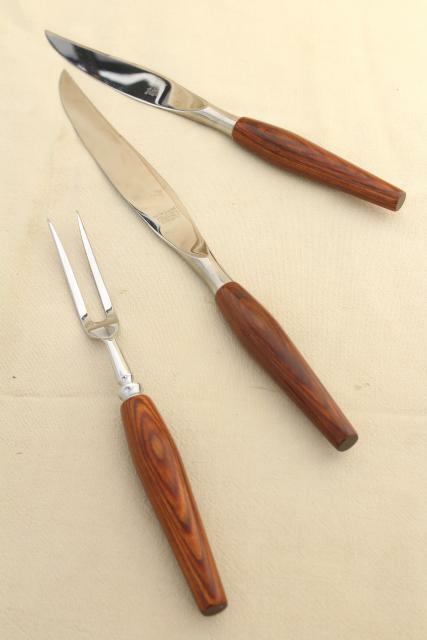 The long knife measures about 13" long end to end. 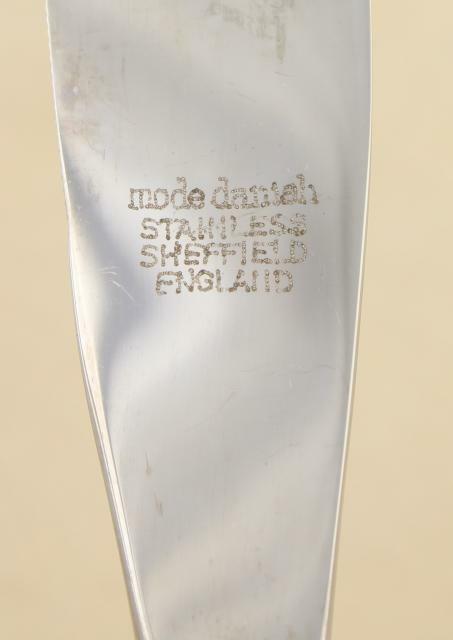 These pieces are marked Sheffield England stainless, and are all in very good condition showing little if any use.